Abigail's future looks bleak. 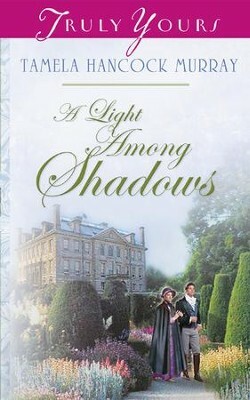 Although a member of Britain's aristocracy, Abigail has led a sheltered life in her father's country manor house. The news that he has arranged for her to marry Lord Sutton, a titled man known for his profligate behavior, changes everything. Desperate, Abigail arranges to elope in the middle of the night with a neighbor she has dreamed of since childhood. When the plan goes awry and Abigail becomes deathly ill, she is rescued by a kindly stranger - whom she soon learns is Lord Sutton. Tedric is nothing like the rake she has heard is Lord Sutton. Are the rumors false? Or is she truly bound to a man who values nothing about her except her family name? TAMELA HANCOCK MURRAY lives in northern Virginia with her two daughters and her husband of over twenty years. She keeps busy with church and school activities, but in her spare-time she's written seven Bible trivia books and twenty Christian romance novels and novellas. I'm the author/artist and I want to review A Light Among Shadows - eBook.